The Cairo Jazz Festival, which will run between 21 and 23 March, was founded in 2009 by Amro Salah, a pianist and founder of Eftikasat, a prominent Egyptian jazz band. In the festival’s first year, Salah was partnered by jazz vocalist Ahmed Harfoush and Eftikasat bass guitarist Samer George, but he now works alone with “friendly support” from his former colleagues. Salah started AGWA Productions, which he uses as base for organising the festival, hosting a growing number of local and international artists at El Sawy Culturewheel. This year, however, the festival has moved to other locations in Cairo: mainly Darb 1718 and Al-Azhar Park. The Israeli-born, UK-resident reedman, composer and writer talks to MARK GILBERT in advance of five solid months on the road to coincide with the release of Songs Of The Metropolis. 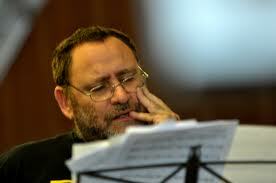 Gilad Atzmon is sceptical about the British arts system, about the addition of form-filling to the musician’s skill-set, and it bears on his musical philosophy in general. Atzmon holds that jazz at its best is a instinctive activity, one that is in perpetual danger of having its vital power drained by subsidising bodies propelled by an “Enlightenment” view of music. “I believe that the existence of an artist should be inherently dependent on the ability to communicate with an audience – I don’t say big audience. The art form that I am involved with is basically the total opposition to the Enlightenment. This is just about the most surprising album in recent memory, and a complete joy. The singer for Roxy Music, Bryan Ferry has also enjoyed a long solo career, both as an interpreter of songs by others — Bob Dylan, The Beach Boys, Sam Cooke, Cole Porter, Lou Reed and many more — and as an extraordinary songwriter who’s released 13 solo albums, each with its own strengths. 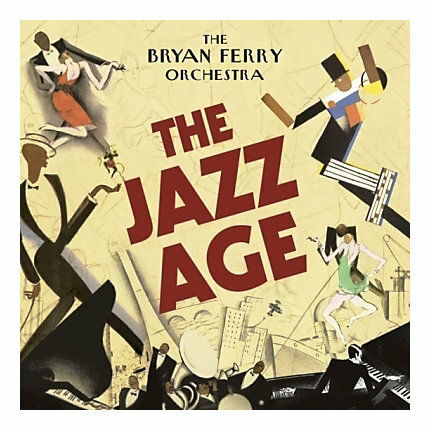 Still, nothing prepared me for The Jazz Age, an instrumental album which re-imagines Ferry’s work and the songs of Roxy Music as if they were performed by a 1920s jazz band.